In wake of allegations that not all its faculty affirm biblical inerrancy, the Moody Bible Institute (MBI) yesterday took a bold step to define and strengthen its position on inerrancy, and to hold its faculty accountable. In an email sent to faculty and alumni, the institute announced it is adopting the Short Statement of the Chicago Statement on Biblical Inerrancy, as well as its Articles of Affirmation and Denial. The institute further stated that all faculty will be required to sign an affirmation of the Chicago Statement as a condition of employment beginning with the 2018-2019 academic year. Created in 1978, the Chicago Statement has long been regarded as the predominant evangelical definition of biblical inerrancy. It was crafted by leading evangelicals like J.I. Packer, R.C. Sproul, and Norman Geisler – and signed by nearly 300 evangelical scholars. This is the classic view of truth on which the Chicago Statement is based, asserting that truth corresponds to reality. Or in terms of inerrancy, a correspondence view means accepting that what the text says happened actually happened, whether it be forming a man from the dust of the earth or walls collapsing around Jericho. At that same division meeting, two Moody vice presidents also reportedly failed to define what inerrancy means to the institute, and rejected an appeal to take the matter up with MBI’s president and trustees. In addition, Moody VP and Dean of Distance Learning Bryan O’Neal said that the Chicago Statement is one definition of inerrancy, but not the only one, seemingly opening the door to multiple understandings of inerrancy. Part of that process apparently involved assembling a faculty committee on inerrancy to help decide the issue. However, several faculty told me that they lacked confidence that the faculty committee would take a strong stand on inerrancy. In the end, the board of trustees took matters into its own hands, voting to adopt the statement when it met on campus earlier this week. Similarly, Dr. William Luck, a Moody alumnus and former MBI professor of Bible and Theology, said he is pleased with Moody’s adoption of the Chicago Statement, which he sees as an affirmation of the institute’s historic position. Luck attended the conference in 1978 which produced the Chicago Statement, along with former Moody professors Harold Foos, Paul Feinberg, and Stan Gundry. All four were among the original signers of the statement. Luck also served on a key committee of the Evangelical Theological Society (ETS) in the 1980s when Dr. Louis Goldberg, former chairman of Jewish Studies at MBI, served as president. In 1983, Luck made a motion that the ETS adopt the Chicago Statement, which Luck said Goldberg supported, along with other Moody colleagues, including Fred Dickason, former chair of the theology department, and professors Paul Haik, Paul Nevin, Don Wise, Edgar James, and Paul Benware. The motion failed, but a similar one was adopted by the ETS about 20 years later. Both Luck and Geisler said they are interested to see what impact the adoption of the Chicago Statement will have on the faculty and administration at MBI. Will faculty who reject a correspondence view of truth resign? One of the professors who reportedly rejects the correspondence view told me that “there are three or four others” at the institute who share his position. And what about the administrators who failed to seek clarification on inerrancy, and publicly espoused that there are multiple acceptable views? Will they remain? And what about Rich Weber, the MBI theology professor who alerted trustees to the inerrancy issue, and at the request of Trustee Emeritus Paul Johnson, sent documentation of these and other serious issues to the board? The current administration has stripped Weber of all classroom responsibilities and he is slated for termination at the end of the semester. No doubt, reporting on his superiors has made Weber very unpopular with them. But should those who were willing to sacrifice orthodoxy remain while Weber is removed? After all, no statement – as important and beneficial as the Chicago Statement is – can completely safeguard an institution against heresy or drift. These statements are simply tools that those who want to protect key doctrines like inerrancy can employ. I hope this happens, and the adoption of the Chicago Statement is a crucial first step. I just pray MBI trustees and administration continue walking in the right direction. This is great news! I had William Luck as a professor when I was a student at Moody. While I am not so sure about his views on divorce and remarriage, his approach to the Bible and theology is about as evangelically sound as they come. I have met (stormin’) Norman Geisler too and I have a great deal of respect for him as well. Thank you Julie for continuing to follow-up on this issue. My strongest contention against forcing all faculty to adopt this statement is that it isn’t encouraging others who would present solid, biblical, and loving critique on our INTERPRETATION on what Scripture says about itself. Within the preface it also says, “We acknowledge the limitations of a document prepared in a brief, intensive conference and do not propose that this Statement be given creedal weight.” I think that in requiring membership of the faculty of Moody, you are in fact elevating this document to creedal weight, rather than having it open to discussion and debate. College at Moody was a time for my beliefs to be challenged and strengthened. When we circle the wagons and only expose students to how they “ought” to interpret Scripture we do them a disservice. To me, it reveals a lack of trust on the part of the board for the Holy Spirit to work in the hearts and minds of those at Moody on their search for truth. I really respect how the men and women of International Council on Biblical Inerrancy ensured that they and their work did not become an authoritative “teaching magisterium” that would endanger the sola scriptura principle. They were not trying to become Popes. They were the first to admit that their own statements were not inerrant and not authoritative. They even set a time bomb on the council such that their project would take a total of ten years and then the council would be dissolved, never to rise again. So I think the ICBI folks would agree with you about the need to not set the Chicago Statement on Biblical Inerrancy (CSBI) and the Chicago Statement on Biblical Hermeneutics (CSBH) and especially the Chicago Statement on Biblical Application (CSBA) as authoritative, inspired, infallible, or inerrant like the Scriptures are. However, I don’t see this adoption of CSBI as that kind of power play. Sometimes you just get forced to choose sides, even when you aren’t in the mood to take sides. The fact is, there are always going to be at two basic camps when it comes to the view of the scriptures and the methods for interpreting them. Some conservatives attempt to maintain continuity between Jesus, the Apostles, the early Christians, the medieval Christians (like Augustine, Anselm, and Aquinas), the Reformers, the evangelicals of the 19th and 20th centuries. And then there are some progressives may seek to adapt parts of the Bible to philosophical trends that are in vogue today and tend to certain critical methodologies (e.g., genre criticism, historical criticism, form criticism, redaction criticism, rhetorical criticism, narrative criticism, psychological criticism, social criticism, Marxist criticism, feminist criticism, higher criticism, etc.) that tend to cast doubts on parts of the Bible. At some point the choice has to be made between the tradition that maintains total faith in the Bible (like D.L. Moody, R.A. Torrey, Billy Graham, and the ICBI folks certainly had) and those who slowly erode faith in multiple parts of the Bible. Invariably some controversy arises, boundaries are tested, the envelope gets pushed, and the need for clarification about parameters follows. This is nothing new. The serpent’s first trick was to ask, “Did God really say…?” The evangelical movement that surged in the late 1940s was assailed as early as the mid-1950s by a wave of challenges to the Bible’s trustworthiness from Neo-Orthodox thinkers began creeping into some evangelical institutions. The wave grew a lot stronger in the revolutionary ’60s. The wave had become such a tsunami by the 1970s that a response was needed. One camp was going one direction and the other camp was going in a totally different direction. Lines needed to be drawn. Challenges had to be answers. Tough decisions had to be made. The 300 people of the International Council on Biblical Inerrancy arose to meet the challenge. By countering the old existentialism-based, Neo-Orthodox attacks on the Bible, the Chicago Statements also seems to have anticipated most of the challenges progressive evangelical scholars are pressing today. (They seem to be just recycling and the old challenges and updating the wording.) Like it or not, there is a battle for the Bible going on within the evangelical movement (just as there was in the days of the Apostles and the writing of the New Testament books) and it isn’t possible to stay neutral for long. 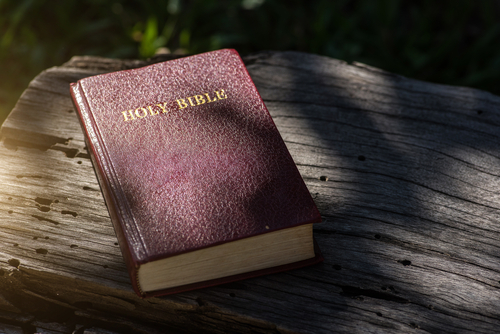 Challenges to the traditional view of the Bible will find their way into every evangelical institution. If we can think of a doctrinal statement as a defensive wall that protects the city and civilization inside, the natural question about that wall is how good is it? How hard is it for the enemies to pierce through it, collapse it, catapult over it, and tunnel under it? When Nehemiah was tasked with rebuilding Jerusalem, he focused first on the rebuilding of the walls. He and his men moved so quickly to finish the wall that “when all our enemies heard of it, all the nations around us were afraid … for they perceived that this work had been accomplished with the help of our God” (Nehemiah 6:15-16). The idea of building walls is not so politically correct in our day where open borders is one of the global goals of the progressives. But God was favorable towards cities having walls it seems. Ideally a doctrinal statement should be so strong that challengers won’t even dare to try to undermine it. Unfortunately, there are so many challenges to biblical inerrancy today by errantists that a short statement on inerrancy which doesn’t clearly address all the recent and foreseeable attacks against inerrancy is tantamount to just drawing out the outline where the future wall should go. Or maybe at best it is akin to building a five-foot tall wall. Sure, that is better than no wall. Maybe it will keep the wolves and lions out. But it’s not going to keep the spies, saboteurs, revolutionaries, marauders, barbarians, and conquerors out. In my opinion, the Chicago Statement on Biblical Inerrancy (CSBI) and the Chicago Statement on Biblical Hermeneutics (CSBH) have stood the test of time well. For over thirty years they seem to have fortified the defensive wall in seemingly all the weak places. Those walls still hold. And they’re not as restrictive as their critics might try to have us imagine. Their parameters offer a wide and healthy space for theological civilization (so to speak) to thrive and grow in. There is ample of room for constructive progress inside those walls. And there is safety from the destructive type of “progress” that sounds sophisticated but erodes faith. The way I see it is that Moody Global has for the better part of the last forty years informally, generally, and really adopted the CSBI. Today they just seem to be taking a step towards making that more formal. After reading several of his quotes at http://defendinginerrancy.com/d-l-moody-and-inerrancy/, I believe D. L. Moody would approve. No doubt in my mind that R.A. Torrey would have too! When I was at Moody 20 years ago, there was solid teaching, but lots of discussion as well. Maybe it was because I was a grad student, but we had lots of questions and disagreement. The difference was that the professors always guided us back to Scripture and “this is what we believe at Moody.” I knew what Moody stood for, and I never felt like I was being put down if I asked about something that I might not agree with. I am grateful that there has been a swing back to having a doctrinal statement that professors need to adhere to. I appreciate your keeping people informed about events at MBI. Thank for keeping us up on this as MBI has not been effective in doing so. However, I also know that R.C Sproul also holds to a non-literal approach to prophecy preferring an allegorical approach which destroys the intent of the original authors. So there is wiggle room on this issue. However, the underlying presupposition is that whatever the text says, it corresponds to reality. Your hermeneutic might result in you saying that a particular OT prophecy refers to a 1,000 year millennium, or that it refers to the Spirit’s work in the current age. Or maybe that it refers to both, in some now/not-yet way. Whatever you conclude, you’re still saying that the text you examined is true, and contains no errors. But if the text itself is untrue, then no hermeneutic, covenantal or dispensational, can rescue it from being unreliable for faith. This is great news! And excellent, responsible reporting by Julie Roys. You are a lioness used by God to defend the truth of Scripture. A very good… no, essential… first step. Very encouraging. Something had to be said, and it appears to have had a positive effect. It”s about time that the board woke up. I for one have been quite upset since the first article came out. Keep us informed about what is happening, since MBI official’s are so transparent. I join with others in highlighting Julie Roys’ courage and responsible reporting on this issue. And I commend Moody on taking this step publically. I hope that Moody will at some point issue a public apology to Ms. Roys, and seek restitution in an appropriate form. Be thankful the epistemological skepticism and drift hadn’t metastasized to the trustee level. I find it odd that you skim over the trinitarian statement change, seeing as the former one was a heresy. I’m very glad to see it change! Thank you for reporting on theological drift at MBI. Like you, I have been a whistleblower against mission drift in a prolife evangelical ministry. My experience over the past 10 years with this issue is that when board members (trustees, directors, etc.) refuse to repent, and want to quickly move on, the underlying issues don’t truly resolve. The institution can give the appearance of “righting itself,” but it is just another form of a cover-up. The old vulnerabilities remain because the underlying primary goal is not the glory of God, but institutional stability. The former requires humility and repentance; the latter is focused on damage control. Thank you Julie for your courage and tenacity. We should all be so bold when defending not only the Bible but also the integrity of our Christian institutions .Also, I agree with Paula and her comments about sincere repentance and cover up. Perhaps there is still further house cleaning that needs to take place and prayer for repentance among those who were part of the cover up. What are the ‘typical’ examples of inerancy that we would likely encounter with those who might be speaking against inerancy? Seems like there are some fine lines, that I think I might be missing.